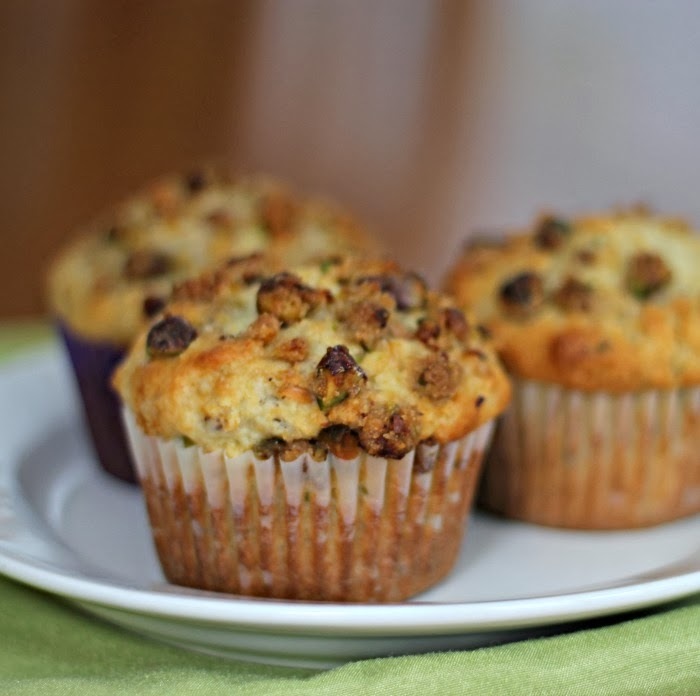 Pistachio Muffins… a great breakfast treat! I love eating nuts. I always take almonds to work with me for a snack during the day. I do some baking with walnuts and pecans, but they are so expensive that I don’t do that too often. This past week I found pistachios on sale at the store, I made sure to purchase some. 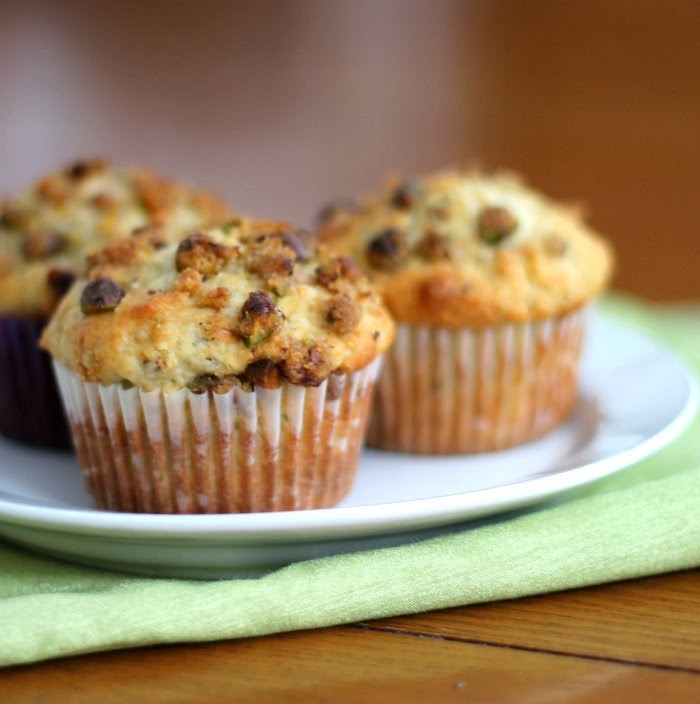 I have never baked with this type of nut before and decided to try them in some muffins. Pistachios are a delicious tasting nut on their own and just as wonderful in baked goods. The muffins turned out to be a tasty breakfast treat. 2. 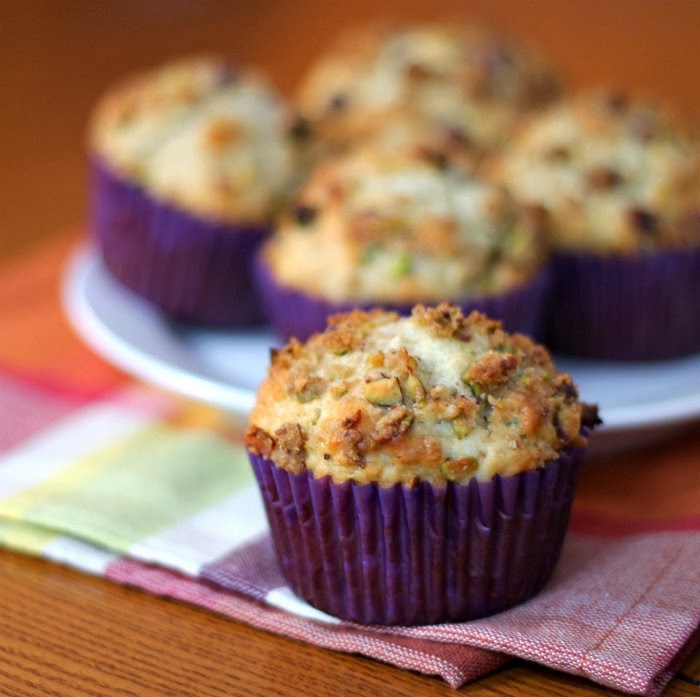 Mix the flour, oats, sugar, finely chopped pistachios, baking powder, baking soda, and salt together in a medium bowl. 3. Combine the egg, butter milk, sour cream, oil, and vanilla. Add the wet ingredients to the dry ingredients and mix just until they are combined. 4. Mix all the ingredients for the topping until well blended. 5. Add the muffin mixture into the prepared muffin tins, filling each cup about 2/3 of the way. Sprinkle with topping and gently press the topping down just a bit. 6. Bake in preheated oven for 17 to 19 minutes. Allow to cool on cooling rack. We’re pistachio lovers here, I just recently made both cookies and cupcakes with them. Looking forward to trying your muffins. Did you know that pistachios are one of the healthiest nuts you can eat. Your muffins sound and look terrific. Pistachios are my favorite nut variety! I know I’d love them in these muffins.